A rustic wedding is the opposite of a big city wedding. If you love the countryside and cringe at the idea of an ultra-formal ceremony in a cathedral or hotel, than a rustic wedding might be for you. From rustic wedding invitations to rustic wedding venues you might not have thought of, this blog will take you through the top 10 rustic wedding ideas to inspire your wedding planning! A barn wedding is a great choice since barns are spacious enough to accommodate a whole herd of guests. Barns also provide the perfect atmosphere for country dancing at the reception. 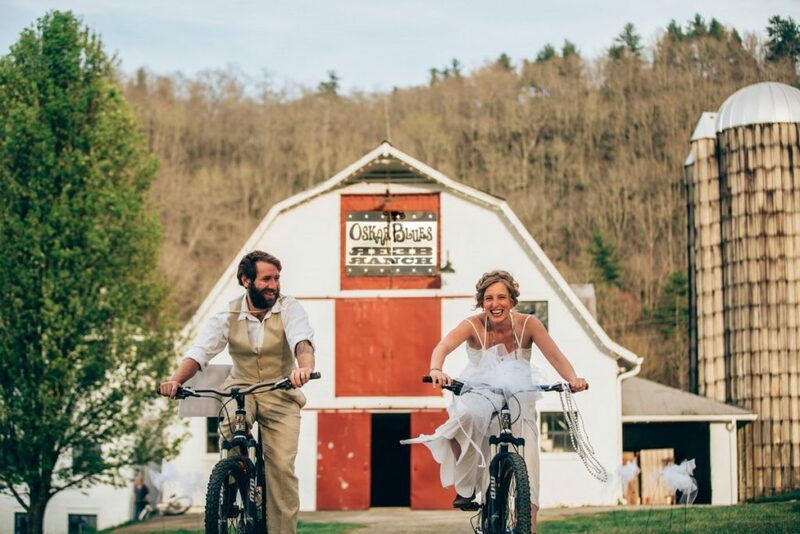 You can opt to use a barn on family property or hunt for a venue set up for weddings and events, such as the scenic REEB Ranch, shown below. 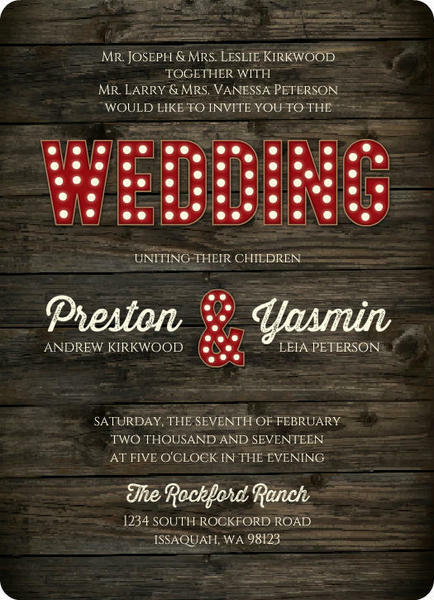 Get your guests excited about your barn wedding with amazing rustic wedding invitations from Invite Shop. The woodgrain background paired with the pretty marquee lettering packs a punch your guests will love! Marquee lights add pizzazz to the monochromatic woodgrain setting that a barn offers. We think marquee lighting is a great way to draw your guests’ attention to the wedding cake table! Marquee lights really pop against woodgrain barn walls. For a rustic barn wedding reception, just cover long, wooden picnic tables with simple white linens. Burlap runners and mason jars full of wildflowers make a perfect finishing touch! 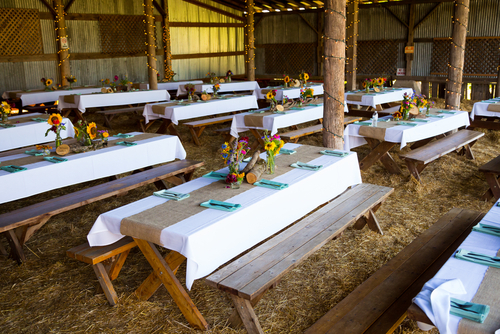 Picnic tables are a great choice for barn wedding reception seating. 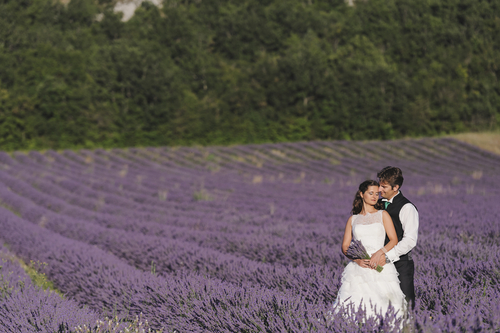 A working lavender farm is one of the most scenic, rustic wedding venues you can imagine. Rows of purple flowers create a ready-made backdrop that makes for the loveliest wedding photos. 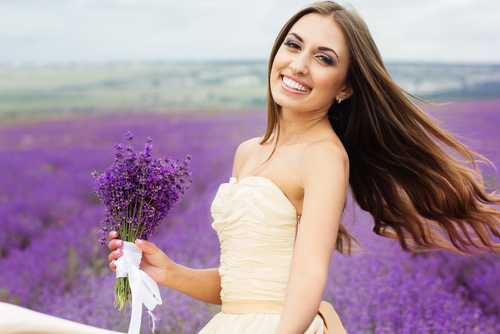 Better yet, lavender produces a relaxing scent that will calm your wedding day jitters. A lavender farm is perfect for a romantic, rustic wedding. Carry a lavender farm theme into your invitations by choosing a simple floral wedding invitation from Invite Shop. 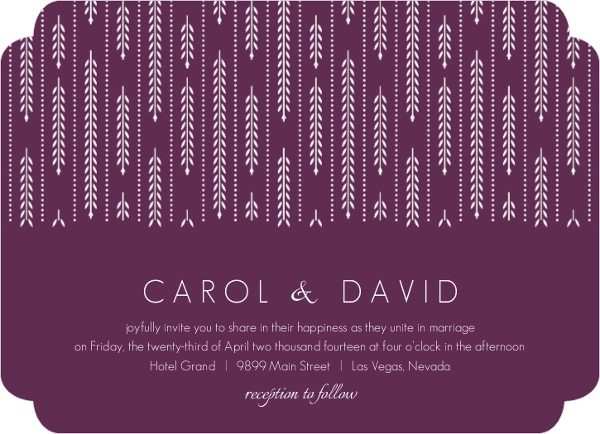 If you have a specific shade of purple in mind for your wedding invitations, you can easily customize the background color using Invite Shop’s helpful online design center. Instead of traditional bouquets, consider using lavender sheaves for your bridal and bridesmaid bouquets. They are beautiful enough to stand alone, and simple to assemble yourself with some ribbon or twine. Lavender bouquets are an easy choice at a rustic, lavender farm wedding. For a rustic look you can DIY, place clear jars of lavender flowers atop simple wood rounds. 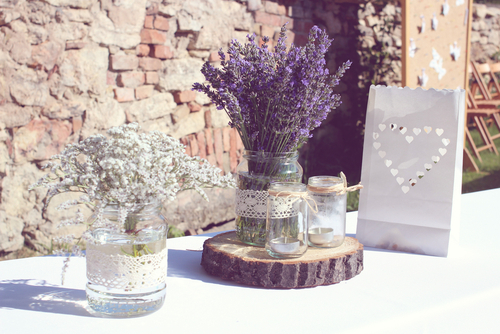 You can use jars of different sizes and intersperse baby’s breath for a little variety. Adorn the glass jars with lace and twine for a rustic finish. Winery weddings are a popular choice for couples who want a rustic-yet-refined setting for their wedding. Rugged, oak wine barrels provide rustic wedding decor, local wine is poured at the reception, and beautiful rows of wine grapes make for gorgeous scenery. 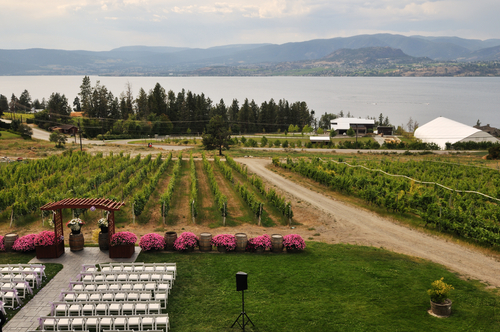 Wineries are elegant, rustic wedding venues. 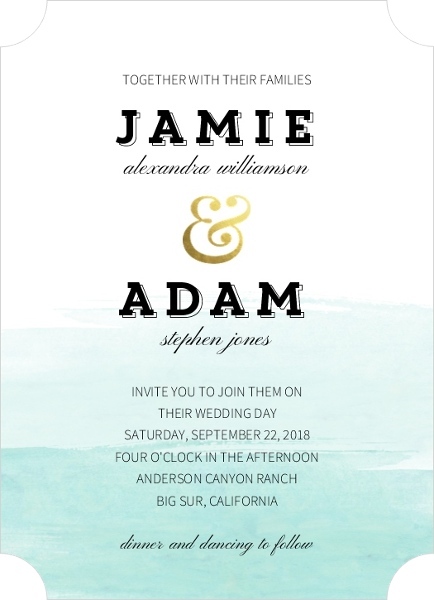 Invite Shop has a unique wine bottle trim that makes for the most unique winery wedding invitations. A grape bunch embellishment and chalkboard background make for special finishing touches on these one-of-a-kind invitations. 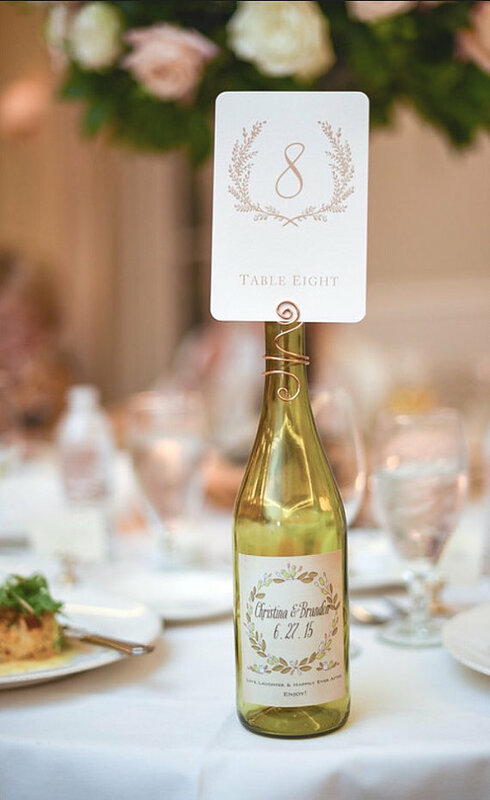 Wine bottles can be used to conveniently hold table numbers at a rustic winery wedding. We love the elegant swirls of these wire table number holders from Fran’s Unique Treasures on Etsy. 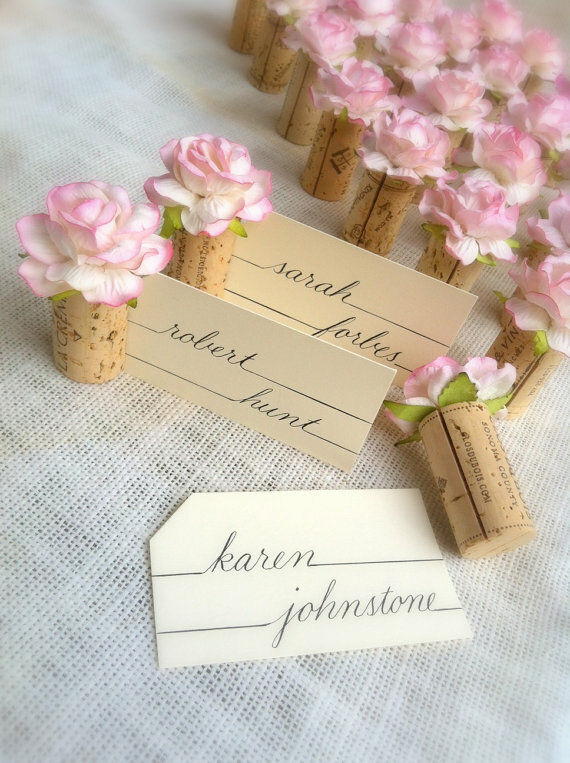 Little touches like these wine cork place card holders can make a rustic winery wedding special. The example below is from Kara’s Vineyard Wedding on Etsy. 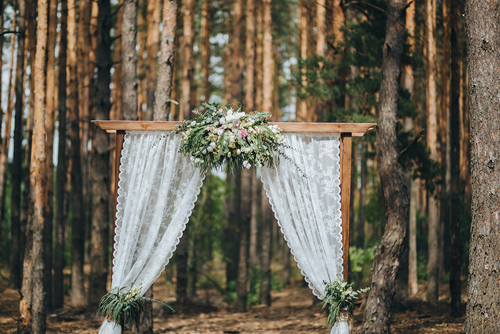 Forest weddings are downright gorgeous with built-in rustic beauty and convenient tree shade for your guests. You can use a wood round as a cake stand and incorporate moss and ferns in your centerpieces. The perfect forest wedding invitations will incorporate the greenery of the woods. 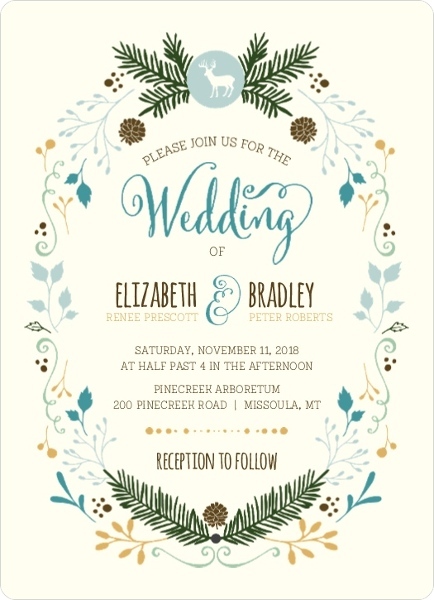 We love the evergreen sprigs and pine cone accents on this Country Charm Wedding Invitation from Invite Shop. Enlist the help of a skilled woodworker or handyman to build you a rustic, wooden wedding arch to serve as a backdrop for your wedding ceremony. We love how the example below incorporates lace curtains and forest-inspired greenery in the floral arrangements. Forest themed cakes can be beautiful works of art. 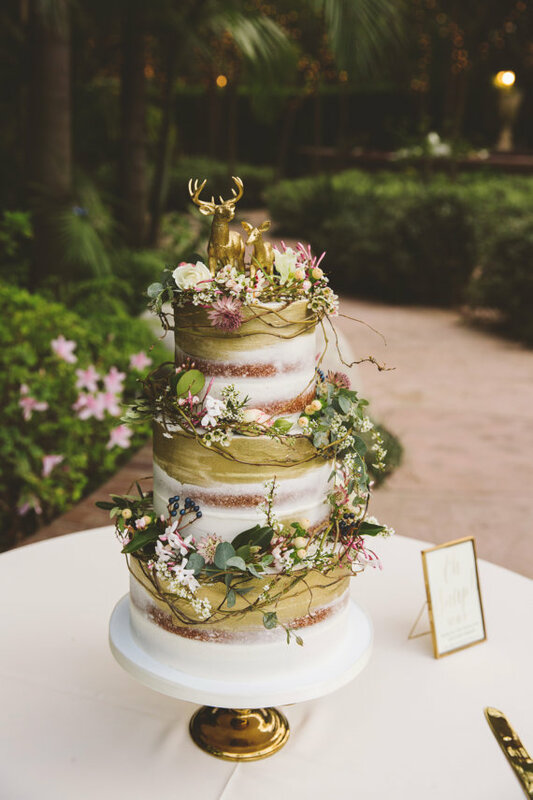 We love that the cake shown below features forest-inspired greenery and charming deer cake toppers from the Lilly Oma Designs Etsy shop. A sunflower field is a beautiful ceremony venue for a rustic summer wedding. Sunflower yellow makes for a cheery wedding color that will pop vibrantly in your wedding photos, not to mention you can use sunflowers in your bouquets and floral arrangements. 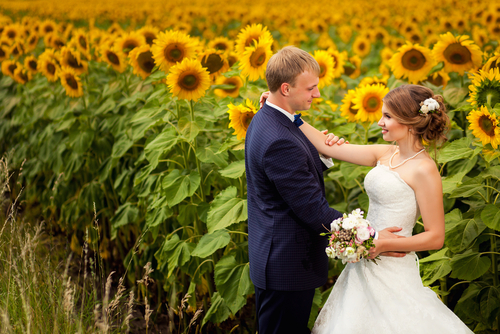 A sunflower field is a great location for a rustic wedding. 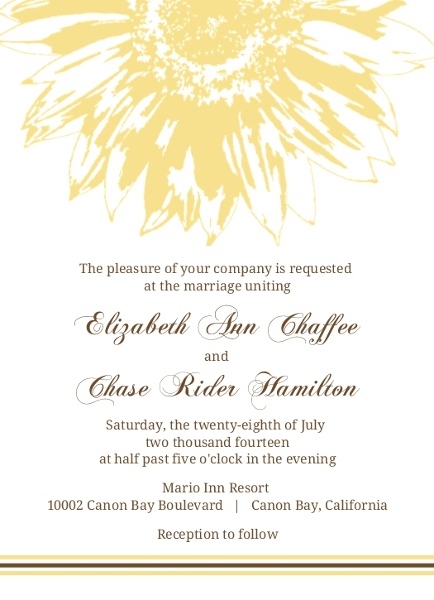 A perky sunflower design sits atop this gorgeous Yellow and Brown Sunflower Wedding Invitation from Invite Shop. It’s the sunniest way to invite friends and family to your big day. 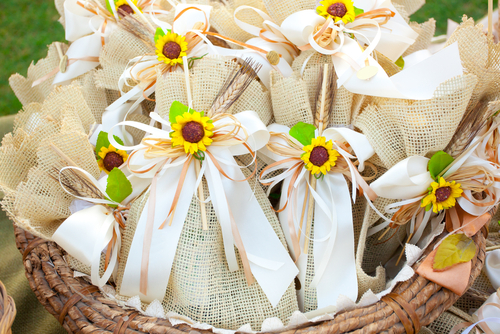 Give your wedding guests a salty treat with sunflower seed wedding favors tucked away in an adorable burlap bag. We love the tiny, silk sunflowers that adorn each favor bag shown below. 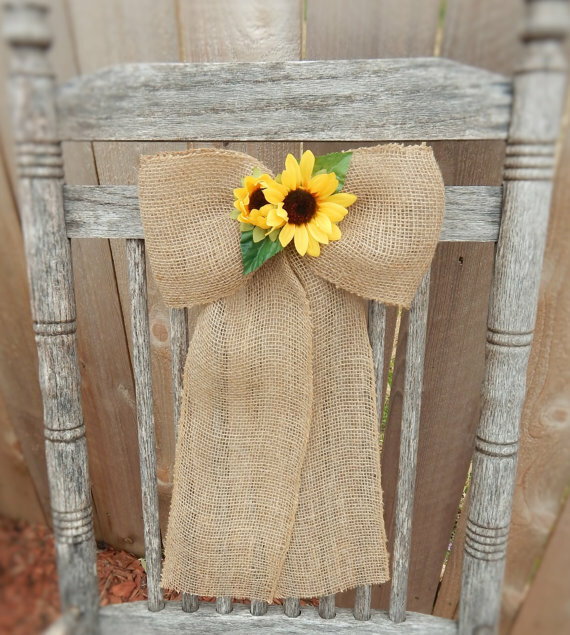 Decorate your reception seating with these handsome burlap and sunflower chair bows. The gorgeous example below is handmade from the One Fun Day shop on Etsy. A lake is the perfect scenic backdrop for a rustic wedding. If the lake is on farmland, you can offer blanketed haybale seating for your guests and dress up the ceremony aisle with metal buckets full of baby’s breath. You can hold a tented reception nearby. To capture the spirit of a lake wedding, consider this Modern Ombre Watercolor Wedding Invitation from Invite Shop. We think the dip-dye look at the bottom of the invite resembles rippling lake waters. Nothing captures the relaxation of a day at the lake like a pair of adirondack chairs. 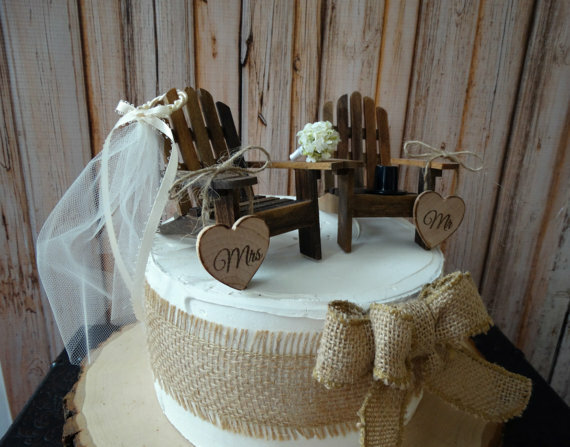 This tiny pair of adirondack chair wedding cake toppers from Morgan the Creator on Etsy is the perfect finishing touch for a wedding cake at a lakeside wedding. 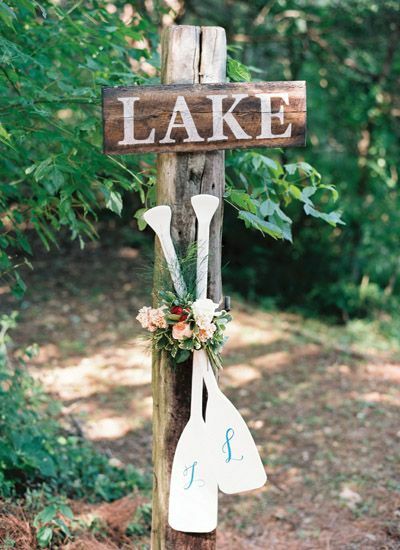 We love the clever use of oars for simple lake wedding decorations. We’ve also seen wooden oars used as an alternative “guestbook” (just provide black permanent markers), and as simple wayfinding signs for your guests. Working ranches are one of the most popular rustic wedding venues. 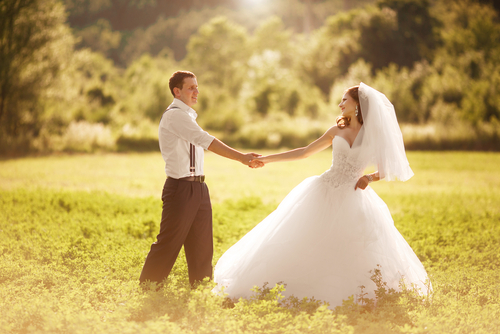 Spacious ranch grounds are generally large enough for any size wedding, and many ranches have barns and cabins on the property that can accommodate receptions with dancing. 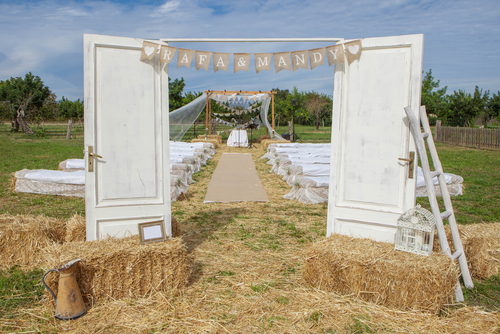 Haybale seating, whitewashed wooden doors, and burlap banners are just right for a rustic ranch wedding. 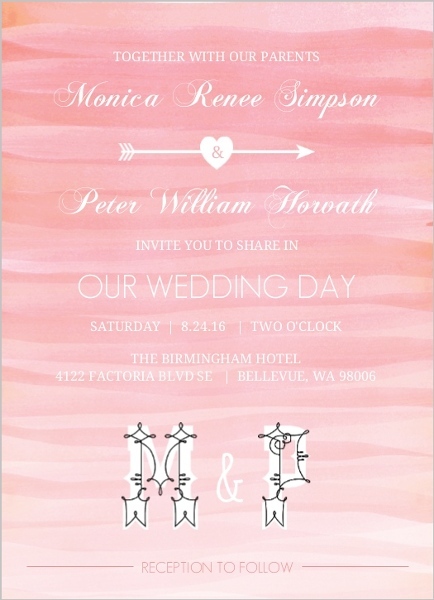 We love the background of this Soft Pink Watercolor Ombre Wedding Invitation from Invite Shop. The fading pink tones call to mind a romantic ranch sunset, while the decorated initials toward the bottom resemble rustic wire fencing. 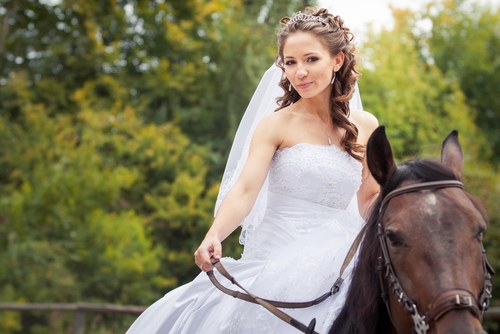 If the bride is a confident rider, it could be fun to have the bride “walk” down the aisle on horseback. The bride’s father could still accompany the bride, leading the horse by its reins and helping the bride off the horse to give her away at the altar. At a rustic ranch wedding, it only makes sense for the bride to enter on horseback. 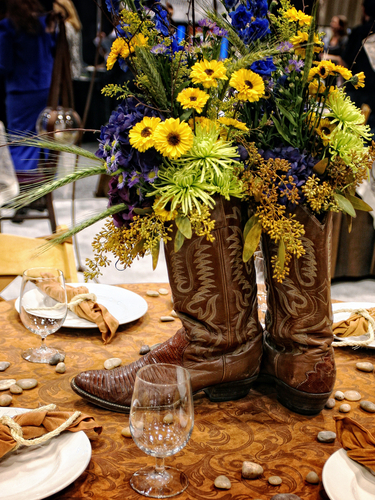 Vintage cowboy boots can easily serve as makeshift “vases” at a ranch wedding. They’ll add rustic charm when filled with freshly picked wildflowers. Who needs vases when you have cowboy boots? What could be more rustic than a mountain wedding? 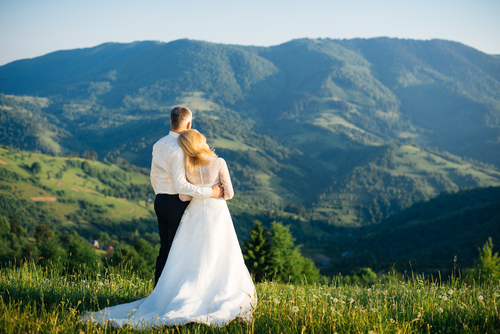 With breathtaking mountain scenery and evergreen greenery, you couldn’t ask for better wedding photos. Mountains provide the perfect rustic backdrop for a wedding. Many couples opt to have their wedding at a ski lodge, which provides the mountain views they crave with opportunities for wedding guests to get some skiing over wedding weekend. 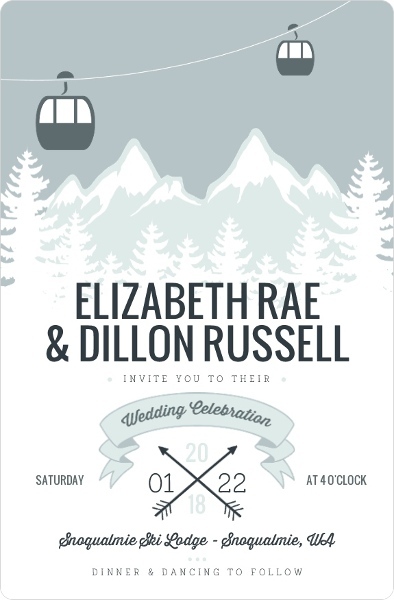 If this is what you have in mind, then you’ll love the Snow Covered Mountain Wedding Invitation from Invite Shop. Enlist the help of a skilled cake designer to capture the spirit of your mountain wedding. 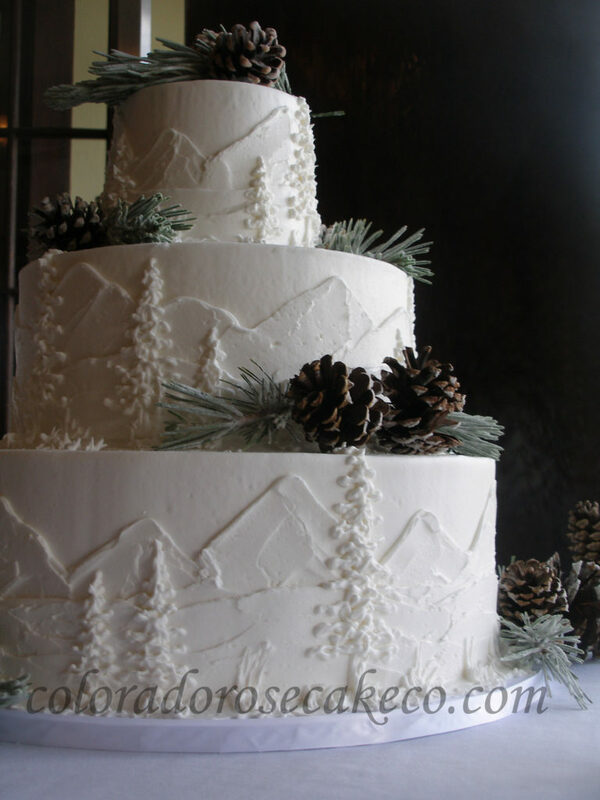 The example below, created by the Colorado Rose Cake Company, features mountains carved delicately into the icing and little evergreen accents. 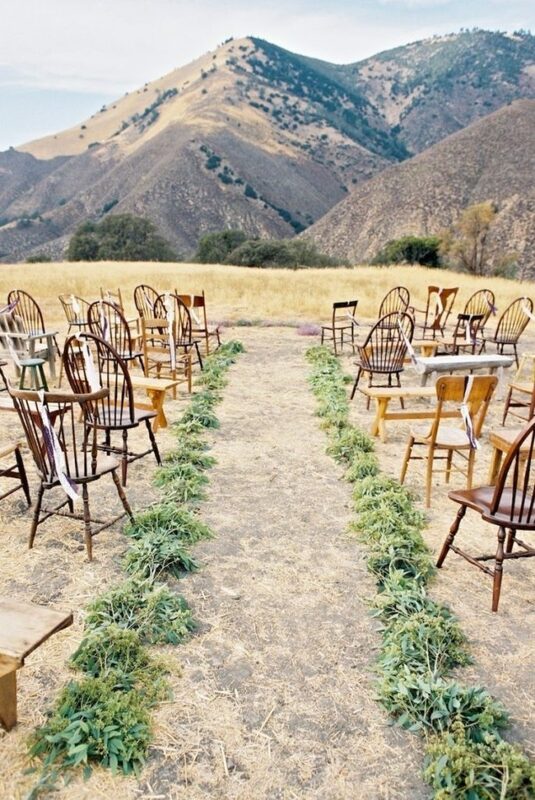 To keep things low-key, consider the simplicity of mismatched wooden chairs for your guests and simple greenery lining the ceremony aisle. With stripped-back decor, the mountain views take center stage.